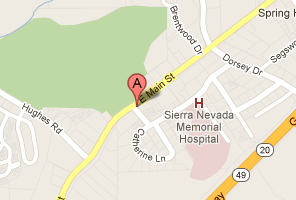 Our office is conveniently located in Grass Valley, California, just a few blocks from Highway 49. Grass Valley California is halfway between Sacramento and Lake Tahoe in the Sierra Nevada foothills. See MAP and DIRECTIONS. Our hours are from 8am to 5pm, Monday through Wednesday and from 9am to 3pm on Thursday and Friday. 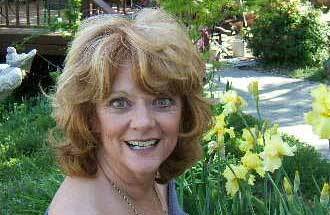 Marianne has a diversified background including 35 successful years in sales, marketing and administrative management. She strives to provide excellent communication with Highland Springs Wellness Center and each patient to ensure individual attention and the highest quality of health care. Her extensive experience in communication and management adds to the vision of Highland Wellness Center along with humane values and compassion in the workplace. Marianne is resourceful and creative with problem solving and effective in creating and promoting a productive workplace. She makes sure Highland Springs Wellness Center is persistent in humor, generosity, mindfulness, clarity, experience and holds our patients in the highest regard. Marianne has lived in Nevada County for 19 years and enjoys her beautiful ranch, farm animals and a commercial orchard and garden.